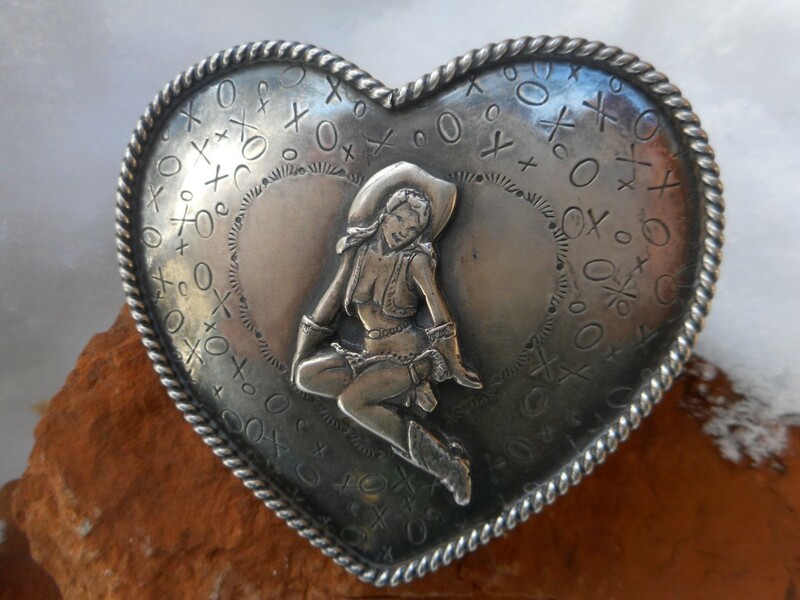 Wonderful Susan Adams heart shaped Amy Lou belt buckle with "x o" stamping, and rope border in sterling silver. Measures 2 3/4 " in width and 2 1/4" in length. Fabulous "conversation" piece buckle from this award winning artist! Size: 2 3/4" x 2 1/4"